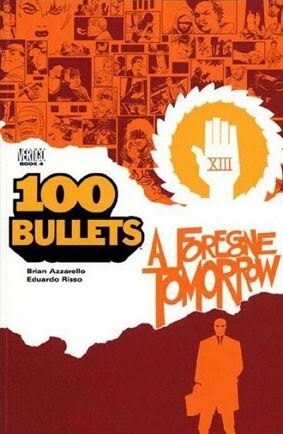 • 100 BULLETS TPB VOL. 4 "A Foregone Tomorrow"
• PLOT SUMMARY: The story of Agent Graves, Mr. Shepherd, and the mysterious Minutemen continues in this volume. More light is shed on the history of the Minutemen and the organization that created them, what is planned for their future, and the conflict between Graves and the Trust that lies at the heart of everything.